Successful enterprise social media use has less to do with the tools employed than with the climate that a company creates. Cultivating the right climate requires balancing a number of tradeoffs through crafted social media policies, adapting characteristics of existing organizational culture, and having managers model effective social media practices for employees. In part 5 of his 5-part series, Gerald C. Kane offers a perspective on how to balance these tradeoffs and create the right mix for a company and its culture. Social media is a tool that allows autistic workers to better express their unique abilities — and tech companies are taking notice. Are Social Media’s Benefits Getting Lost in Translation? For multinational companies, language barriers are a key obstacle to social business. Can a multilingual approach work? Social business is changing organizational culture and how businesses interact with the world at large. “Lawsourcing” campaigns are helping smaller organizations advance legal and public relations goals. Thanks to technology, the office of the future is going to look very different from what we’ve been used to. A key finding from the 2014 social business research report by MIT Sloan Management Review and Deloitte indicates that company values increase as “social maturity” increases. To advance in social maturity, companies should: 1) use social data to better advantage; 2) provide leadership vision for social; and 3) infuse social across the enterprise. 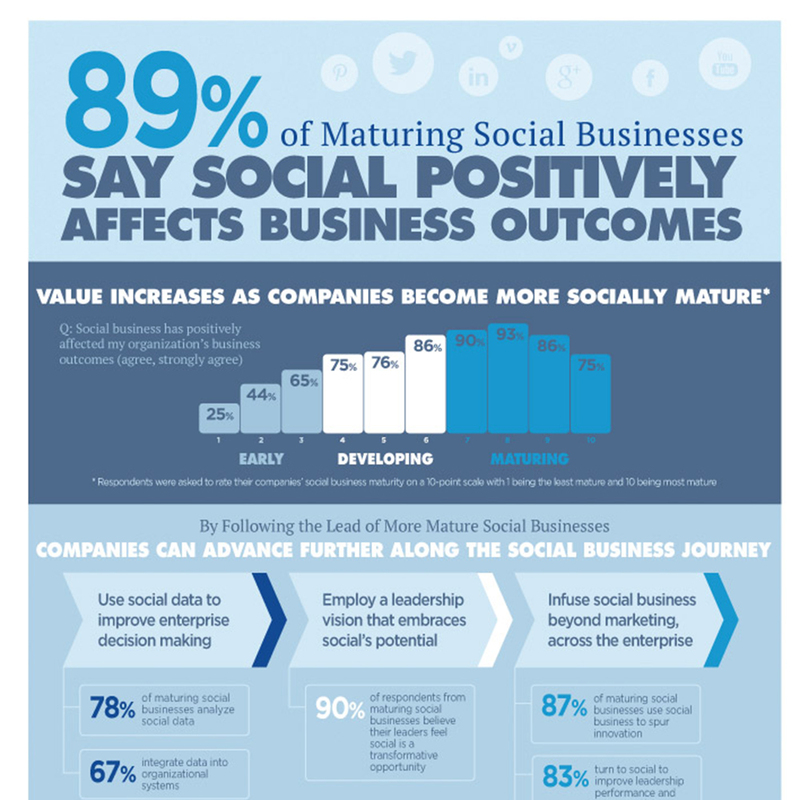 An infographic illustrates the value derived from social, and the way socially mature companies outperform others in key areas. The 2014 Social Business Interactive Tool explores how survey respondents say their companies are using social business to transform their organizations and get more from their social business efforts. Users can explore and customize each interactive chart by filtering and isolating the data on the fly — and create customized visualizations to share. Statistics are from the 2014 Business Global Executive Study and Research Project “Moving Beyond Marketing” conducted by MIT Sloan Management Review and Deloitte. Kristian J. Sund et al. “The lesson for any organization wanting to explore new business models is to not settle too quickly on a structure for the new business.” — Kristian J. Sund, et al.